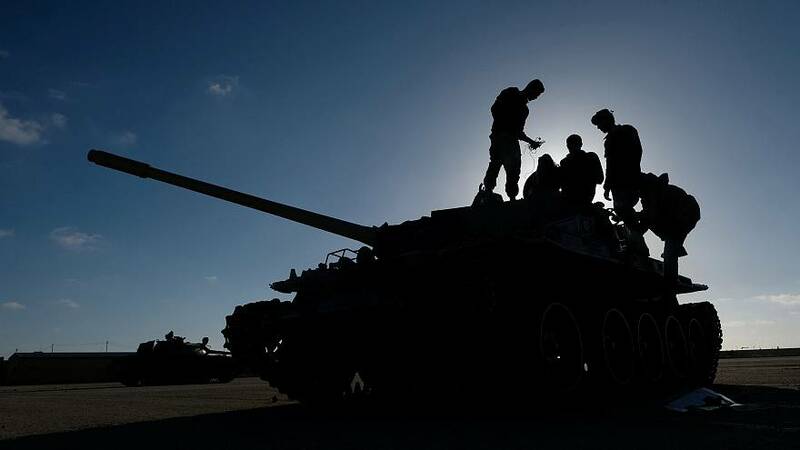 The death toll has risen to 121 dead with around 600 wounded as Saturday saw an escalating battle south of the capital against the Libyan National Army (LNA) and the UN recognised Government of National Accord (GNA) continue. Sunday was a bit calmer on the front lines after the conflict started ten days ago. Military sources say that an LNA warplane crashed in southern Tripoli, but no other details were given. Meanwhile, Egypt which has close ties with the commander of the LNA, Khalifa Haftar, released photos showing the commander with the Egyptian President Abdel Fattah el-Sisi after they met in Cairo on Sunday. No other details were given about their meeting. The LNA is under international pressure to stop its advance on the capital. Over 13,000 people have fled their homes. At the border with Tunisia, hundreds of National Guardsmen, soldiers, and customs agents have been deployed to tighten security. Libyans have complained about the length of time it's taking for car searches and then a walk for 3 miles to enter Tunisia.